Acharya Prafulla Chandra Ray was a great chemical scientist. He did a lot of service in the field of chemistry. He got praises from Mahatma Gandhi and Rabindranath Tagore in those days. He got international prominence as a great Indian scientist at the time of British rule. He was a simple person. He is a great humanist and patriot. He was a famous professor and multilinguistic person. His books attracted the entire world. Acharya Prafulla Chandra Ray used to say that there were scientists in India at the time where African people lived in forests wearing animal skins as clothes. 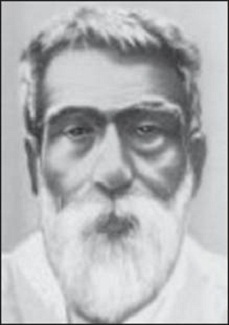 Acharya Prafulla had played key role in the advancement of India in the field of chemistry. His research had helped to grow forward in the chemistry. He became famous as the first person to start the first medicine manufacturing company. He became popular as the scientist for his invention of Mercurous Nitrate. Famous Indian scientists Meghanad Saha, Satyendra nath Bose and Shanti Swaroop bhatnagar were his students. Acharya Prafulla Chandra Ray is well known as P.C.Ray. He was born on August 2nd, 1861 at Raruli-Katipara village which belongs to Bangladesh now. Although he was born in a well settled family, their financial status gradually became bad and they were left with huge debts while he was growing up. He could not continue his schooling due to his ill health. He used to read each and every book present in the home. P.C.Ray had read philosophies in Sanskrit, English, Bengali, Latin and Greek languages by the time of ten years age. He read the life history of famous scientist Benjamin Franklin and was inspired from him. From then he developed interest and curiosity on Sciences. He joined in a school again in Kolkata. He secured good name as the brilliant student in school. He performed well in the competitive talent test conducted by London University. He got selected and went to England on scholarship. He secured B.Sc degree from Edinborough University in England. There only he started research on Chemical substances. For his research and experiments in the field of Chemistry, he secured Doctorate in Science at the age of 27. P.C.Ray returned to India and joined as Assistant Professor in Kolkata Presidency College. He used to spend his time by teaching and by doing research. He developed interest towards the field of medicines gradually. In those days, medicines were imported from foreign countries. Medicines were very expensive and so common man was not able to afford such cost. He established The Bengal Chemical and Pharmaceutical Works with an objective to manufacture medicines in India only to make the medicines available to people at reasonable prices. Moreover he helped in establishing many other chemical industries. His research on Mecurous Nitrate, Gold, Platinum and Indium compounds has gained world wide appreciation and prominence. P.C.Ray used to read many ancient books. He wrote a book called ‘The History of Hindu Chemistry’ which became very famous. He published 107 research papers in the field of Chemistry. P.C.Ray had collected the fund of twenty five lakhs of rupees at the time of floods in Kolkata. Then Mahatma Gandhi had praised him as the Doctor of Floods. When he joined as science professor in the University, he declared that he would donate his entire salary for the development of chemistry. He donated his salary for twenty years. He got retired in 1916. He spent unmarried life. He used to stay with some poor students in a room in the University. This was an example to prove his simplicity. He died in 1944 at the age of 83.